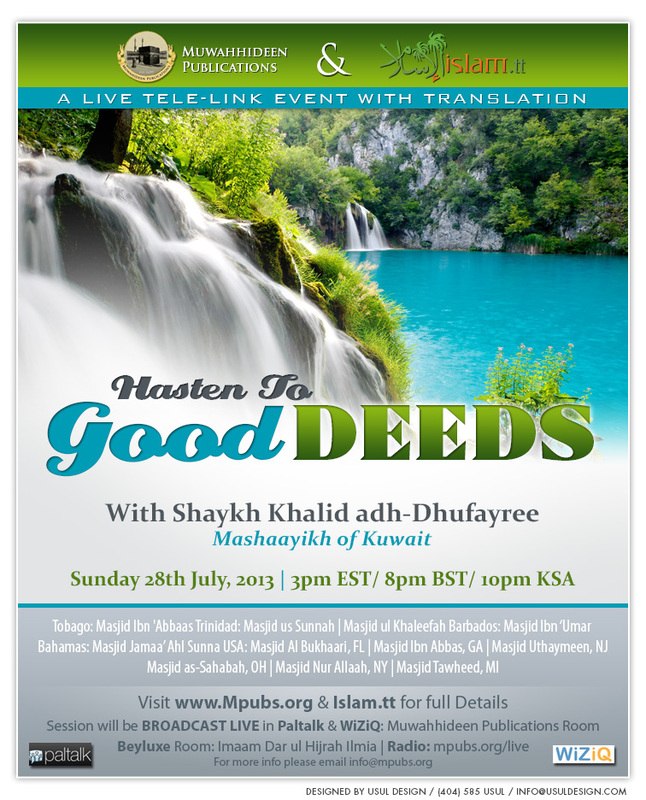 Muwahhideen Publications is honoured to announce a LIVE tele-link lecture with the Noble Shaykh Khalid ibn Dhawee adh-Dhufayree (May Allah Preserve Him), from the well-known mashaayikh of Kuwait on Sunday 28th July 2013. The Shaykh is well known to the major scholars and studied with several of them, including Shaykh Rabee' ibn Hadi al-Madkhalee and Shaykh 'Ubayd al-Jaabiree (May Allah preserve them). He is highly recommended, specifically, by Shaykh Rabee' al-Madkhalee (May Allah preserve him).